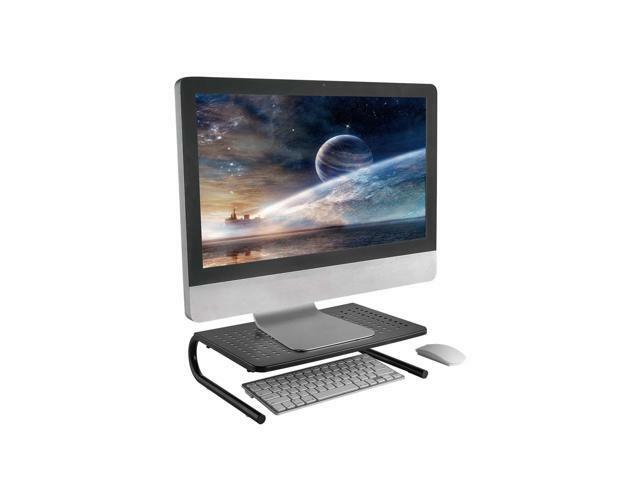 Suffering from pain on your neck & back due to the low position of your monitor? Wanna find something effective and functional to improve this situation? 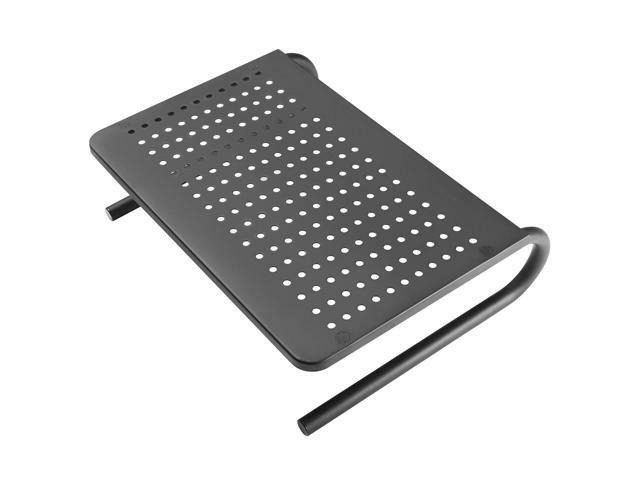 This Ventilated Metal Monitor Stand/Monitor Riser provides perfect solution for you. 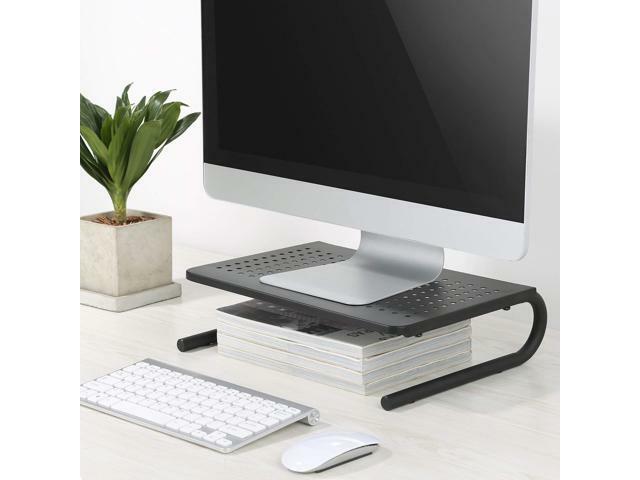 It can lift your monitor,raising your screen to an suitable viewing height, keeping your posture in perfect alignment and effectively relieving stress on your neck and back. 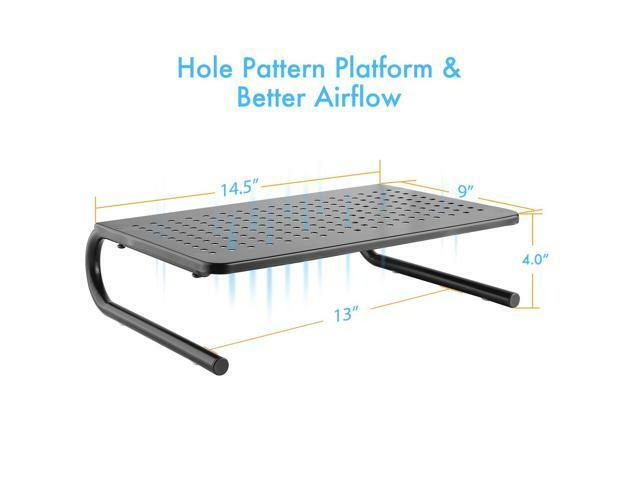 The platform of this monitor stand is built with mesh holes that increase air flow going toward your device. 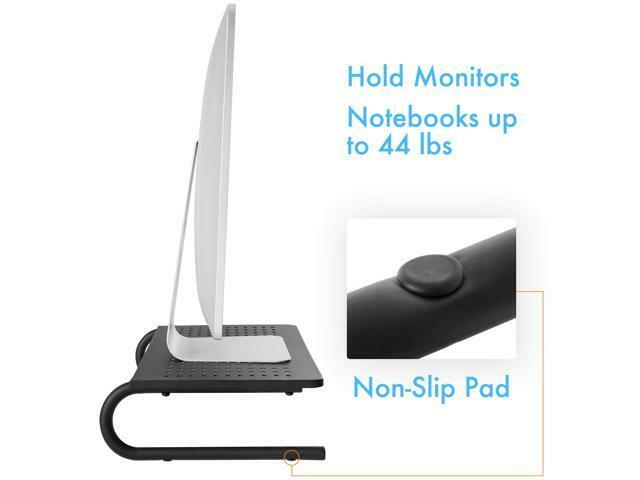 This keeps your laptop or monitor cooler and helps prevent overheating. 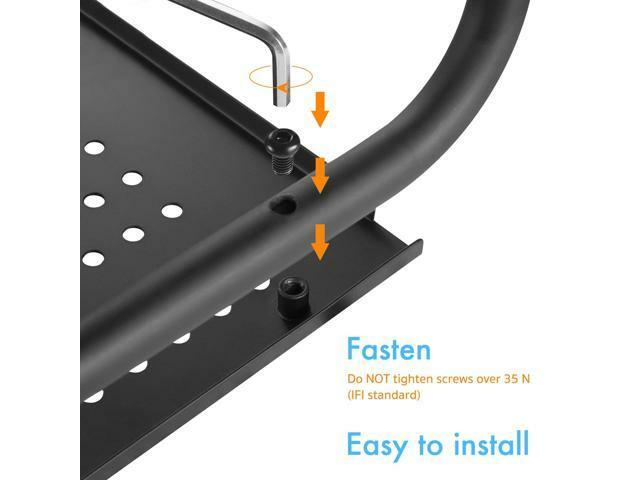 Your new monitor riser comes with non-slip legs and anti-skid rubber that increases stability and protects your laptop and furniture from damaging. 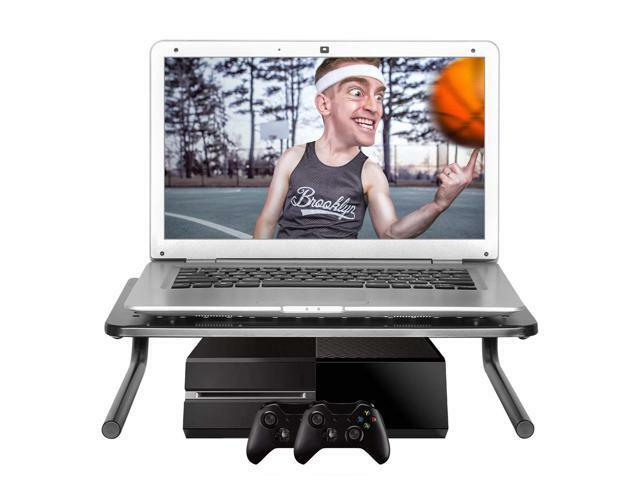 Rest assured that your device is in safe hands while you get more work done .